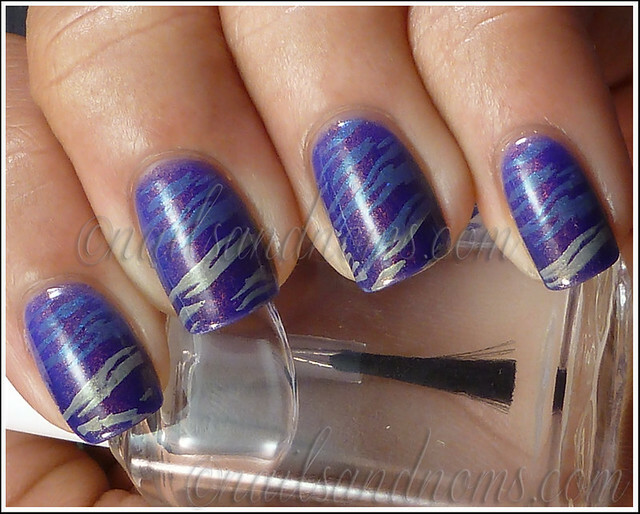 I can't believe Rie's nails are on the blog! I have the biggest girl crush on this lady, not only because she has the cutest hair but also because she has an awesome chest piece and a septum piercing. I miss my septum piercing everytime I see her cute face. 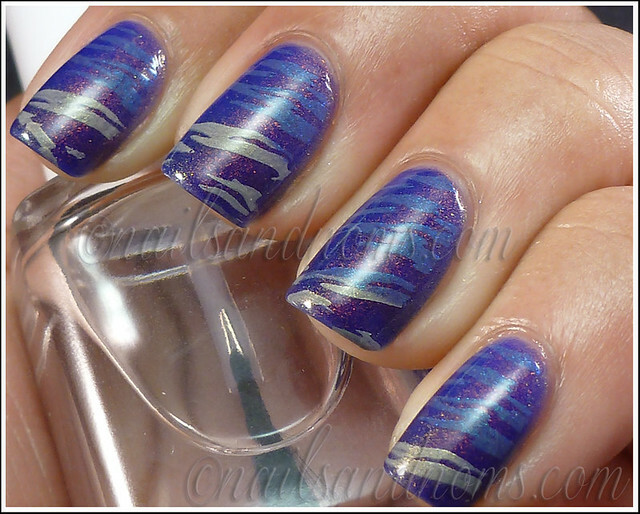 And now she did this awesome guestpost, including this gorgeousss polish with duochrome shimmer! For my guest post, I wanted to play with some of my newest polishes in my collection and my newest set of stamping plates by MASH! I started off with 2 coats of Takko Lacquer's Kiss The Sky, a gorgeous 'blurple' jelly with green/gold duochrome shimmer. Then I used my Mash-38 stamping plate to add both Electric Apple: NYC (a grey jelly/creme with gold shimmer) and Wanderlust (a dusty lilac jelly/creme with teal shimmer) on top of Kiss The Sky. Oh my, this is gorgeous! I really really need Mash plates! I agree on all of this - I love Rie's hair, tattoos and nails ;) This manicure is no exception. Love the colors and the pattern she picked. ^o^ this is breathtaking, Rie! 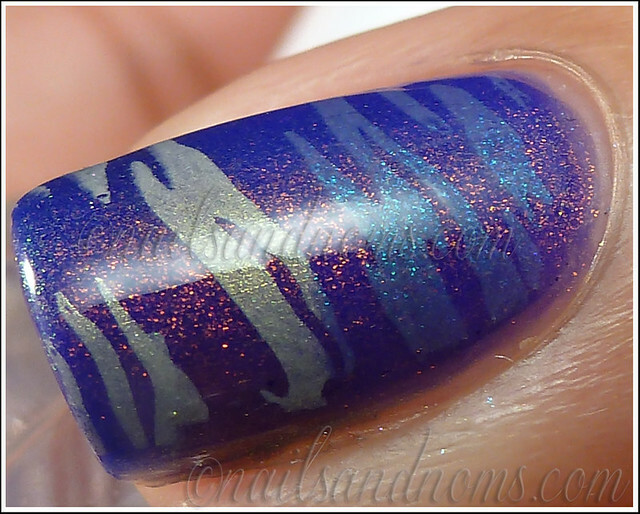 I'm in love with this mani, colours, stamping, shimmer, duochrome.........all in one!!! Beautiful colors! Love the stamping! Rie, want to thank you again for this awesome and gorgeous manicure!